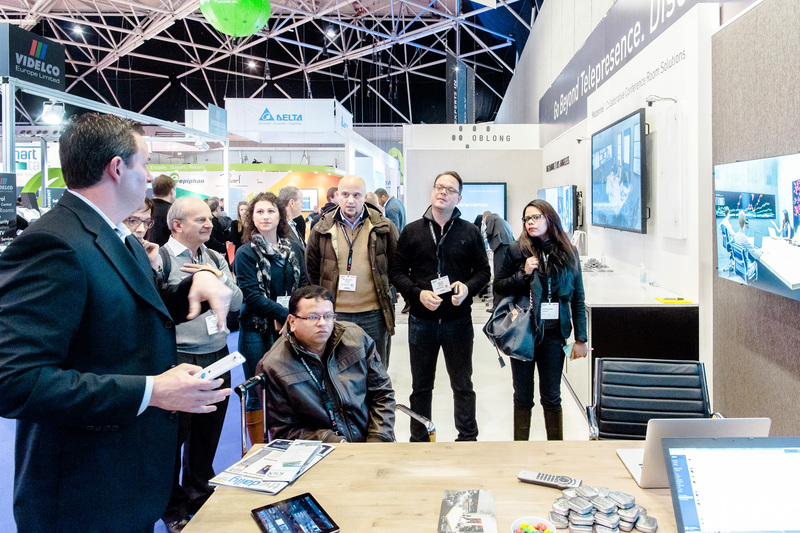 We recently completed our very first European AV show, Integrated Systems Europe (ISE). The show is the world’s largest tradeshow dedicated to professional AV and electronic systems integration and the perfect platform for our flagship product, Mezzanine. 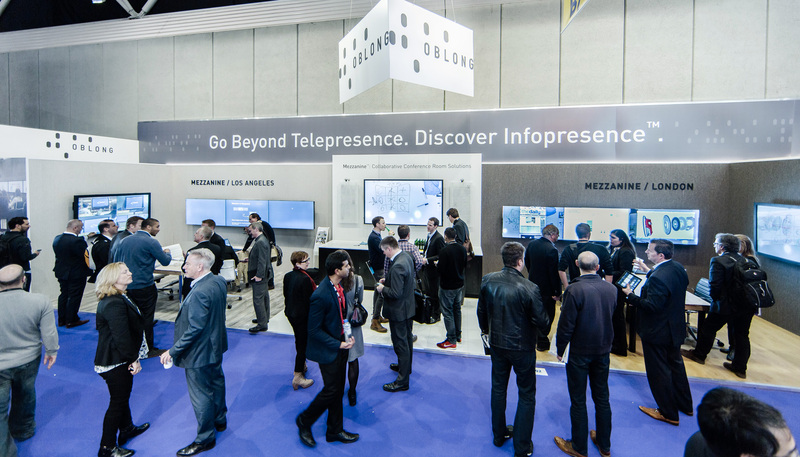 We welcomed many top players in the business world to our stand, gave demonstrations on the future of collaboration, and the flexibility companies can expect when using Mezzanine. Mezzanine has already been installed by leading global brands, such as IBM, NTT, and Dentsu Aegis, with many others to soon follow in suit. We hosted three engaging and informative talks in the Unified Communications Theatre, covering topics such as ‘Visual Collaboration’ with the CEO of Dentsu Aegis, Nigel Morris, ‘Innovating of the Intersection of AV & IT’, and fueling excellence in the ‘BYOD Meets Multi-Screen World’. Oblong CEO John Underkoffler also delivered a keynote at the Smart Building Conference in advance of opening day. All were well received by ISE attendees, and selected talks may soon be available online. In the meantime, enjoy the photo gallery, plus selected articles in the top trades (including Commercial Integrator, Installation, AVNetwork, AV Nation, rAVe, Telepresence Options, and the cover of the ISE Show Daily on opening day).